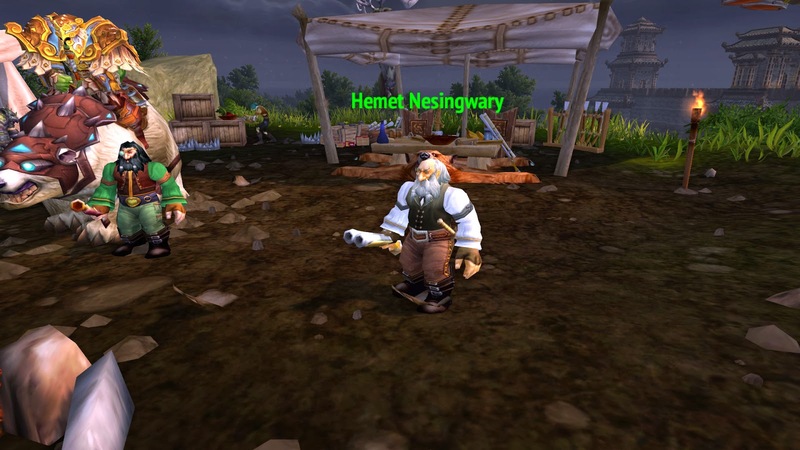 Master of World of Warcraft : Anyone wondering how he's gonna show up in WoD? Anyone wondering how he's gonna show up in WoD? Oy, laddie, the beasts here are huge! I have seen one of them rip a human in half with one bite of it's jaws. Not a pretty sight if ye ask me. Don't want to be anywhere that beast when it's hungry. Unless, of course, yer a hunter like me. We hunted in Stranglethorn, Northrend and that weird Panda-land, but those creatures hunt in packs like nothing we've seen before. Let's get to killin'. Bring me 25 brown orc scalps.